Roosevelt's heroism at the Battle of San Juan Hill was the culmination of years of conscious personal transformation and myth-making. Colonel Theodore Roosevelt of the Rough Riders, 1898. 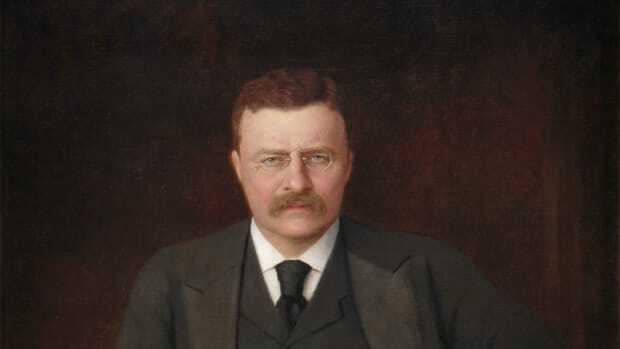 There were two sides to Theodore Roosevelt. One was the trust-busting progressive who reined in industrialist excess, won the Nobel Peace Prize for negotiating the end of the Russo-Japanese war, and set aside millions of acres of public land for wildlife conservation. Sarah Watts, author of Rough Rider in the White House: Theodore Roosevelt and the Politics of Desire, says this second Roosevelt, the wild-eyed hunter, was actually the first to emerge, the product of being labeled a “wimp” (his father’s loving term) and a “Nancy boy” as a young New York assemblyman. 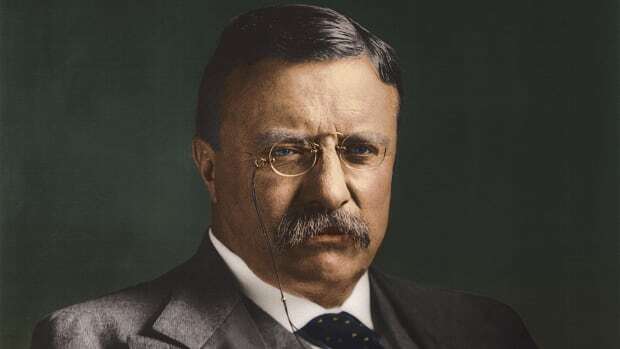 Like other Eastern elites of the late 19th century, Roosevelt came to abhor both his own physical weakness and what he saw as the larger “degeneration” and “effeminization” of American civilization. “The elites in the East began to be fearful that they couldn’t control this new society and all these elements,” says Watts. 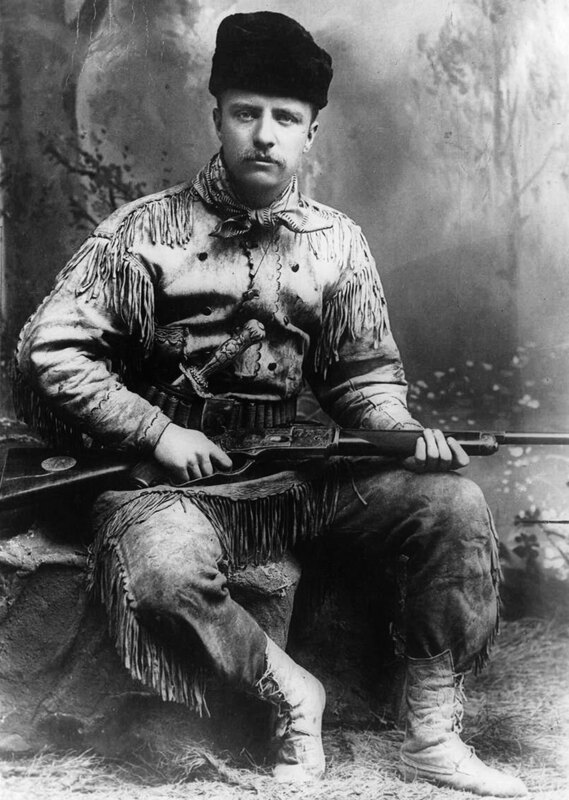 In 1883, Roosevelt eagerly traveled to North Dakota (complete with buckskin shirt) to hunt bison and ended up buying a cattle ranch. After the tragic deaths of both his wife and mother on Valentine’s Day, 1884, Roosevelt took refuge in his sprawling Western ranch. 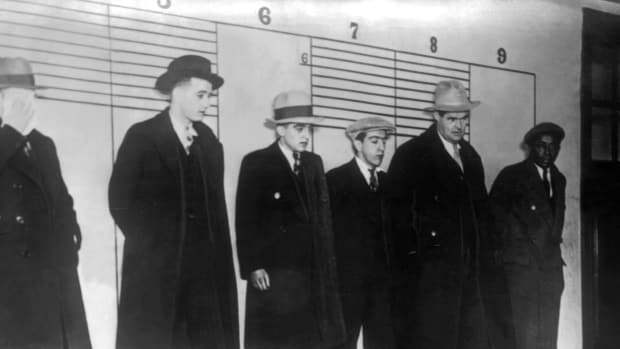 Over the next five years he became a prolific propagandist for the harsh beauty and lawless redemption of the wild West, authoring popular and colorful books like “Hunting Trips of a Ranchman” and a four-volume history of the early frontier. Theodore Roosevelt on his ranch in North Dakota. 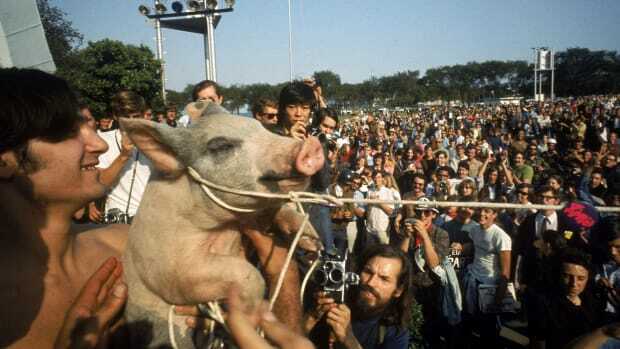 Monthly called “The Evolution of the Cow-Puncher” that places the noble if barbarous cowboy in the same racial and cultural line as the Anglo-Saxons. 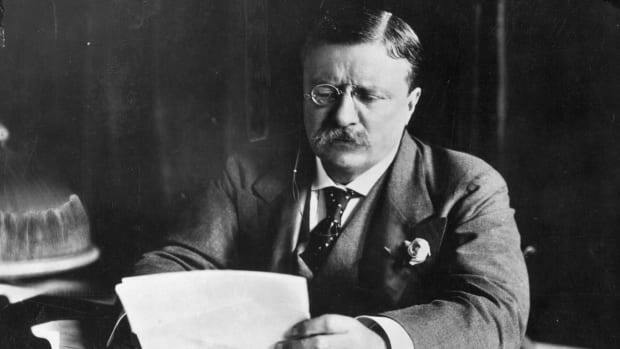 But Roosevelt’s greatest feat of masculine myth-making was yet to come. 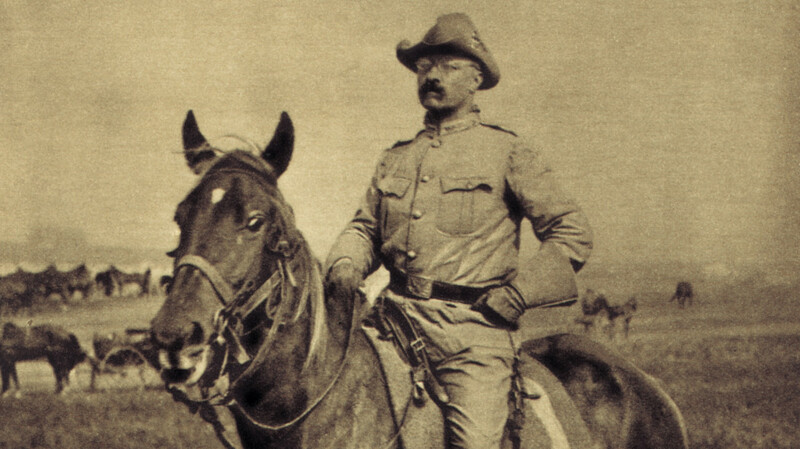 When the Spanish-American War broke out in 1898, Roosevelt immediately resigned his post as Assistant Secretary of the Navy and won approval to recruit a volunteer regiment that Roosevelt originally called the “cowboy cavalry” but quickly became known as the Rough Riders. Theodore Roosevelt leading the Rough Riders unit during the Spanish American War. The Rough Riders were the physical manifestation of Roosevelt’s new masculine ideal, a mix of hardened frontier riflemen, skilled horseman and Texas Rangers, plus elite athletes from Eastern colleges, including championship quarterbacks and steeplechase riders. 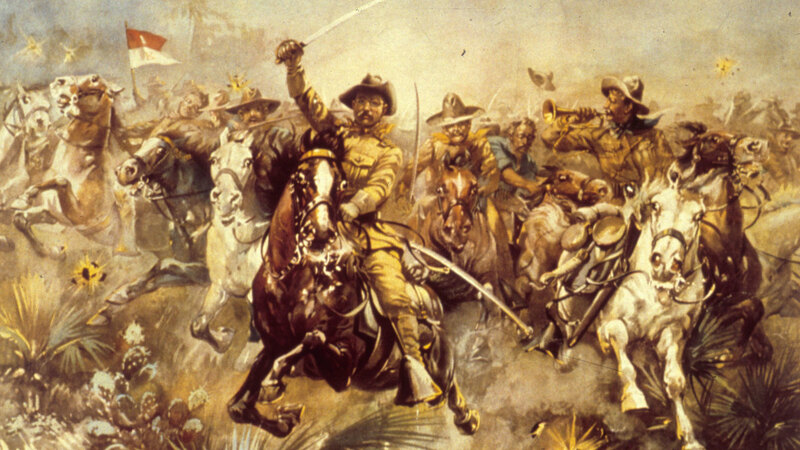 Roosevelt and the Rough Riders fought heroically against the Spanish forces in Cuba, but apparently even acts of bravery and sacrifice—Roosevelt took a bullet riding back and forth in front of enemy fire to protect his troops—weren’t enough. Through Roosevelt’s own breathless account of the battles of San Juan Hill and Kettle Hill, published that same year, and Remington’s painting The Charge of the Rough Riders (commissioned by Roosevelt), a highly fictionalized but enduring image of the cowboy soldier was permanently lodged in the American psyche.